Home > Article > Spring 2018’s 33 1/3s: the countdown begins! Spring 2018’s 33 1/3s: the countdown begins! With just weeks to go until the four latest 33 1/3s hit the shelves, we’ve put together this little round-up for you so that you know exactly what you’ve got to be excited for! This Spring’s batch are as eclectic a mix as you can expect from the series, but we think they complement one another really well and we hope that you’ll agree. Every now and then, a song inspires a cultural conversation that ends up looking like a brawl. 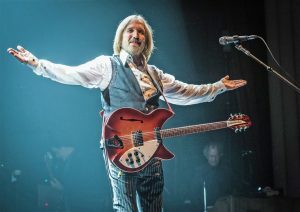 Okie from Muskogee did just that, framing an ongoing discussion around region and class, pride and politics, culture and counterculture – a discussion that seemed to drown out the song itself. 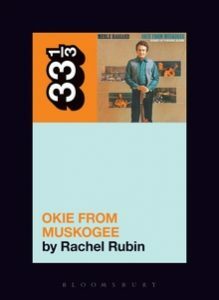 In this book, Rachel Lee Rubin gives Okie its due attention. Read more. 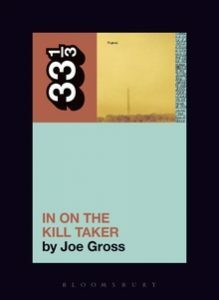 From late ‘60s Oklahoma to Washington, D. C. in the 90s, we move to Fugazi’s In on the Kill Taker, out April 19. This book looks at Fugazi at their thunderous peak of popularity, at a time when they were on a creative roll. Featuring brand new interviews with all four members of the band as well as with members of Sleater Kinney, Bikini Kill and Nirvana, it uncovers the difficulties behind the band’s huge breakthrough and reveals what makes the album an alt-rock classic even in spite of itself. Read more. Next up we have the iconic Lou Reed and Transformer, also out in April. In Transformer, Lou Reed managed to make a fun, accessible rock’n’roll album that was also a troubled mediation on the ambiguities – sexual, musical and otherwise – that defined his public persona and made him such a fascinating figure in rock history. 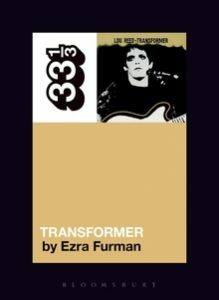 Here author Ezra Furman, himself a songwriter, reflects on the secrets and the questions of identity that Transformer’s songs challenge us to uncover. Read more. 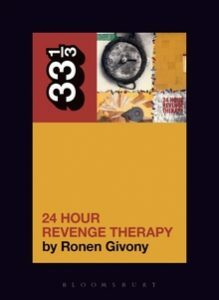 A passionate, highly personal look at one of the great confessional rock albums of the 90s, including first-hand insights from the band itself. Ronen Givony asks how, amongst a thousand other artists in the 90s, did Jawbreaker come to seem like more than just another band? Why do they persist today in meaning so much to so many people? And how did it happen that, two years after releasing their masterpiece, the band that was more than just a band to its fans was no longer? Read more. So there we have it! Four diverse artists and four incredible new volumes to add to your collection this Spring. And be sure to keep an eye on the blog over the next few weeks where we’ll be sharing news and updates on these books in the run-up to publication.